KCUMB integrated tablet technology (Apple iPads) into the curriculum for all our programs in 2013, providing both an increase in sustainability on campus and enhanced student proficiency with technology. The use of iPads replaced many books, journals, handouts and paper examinations throughout the past academic year. 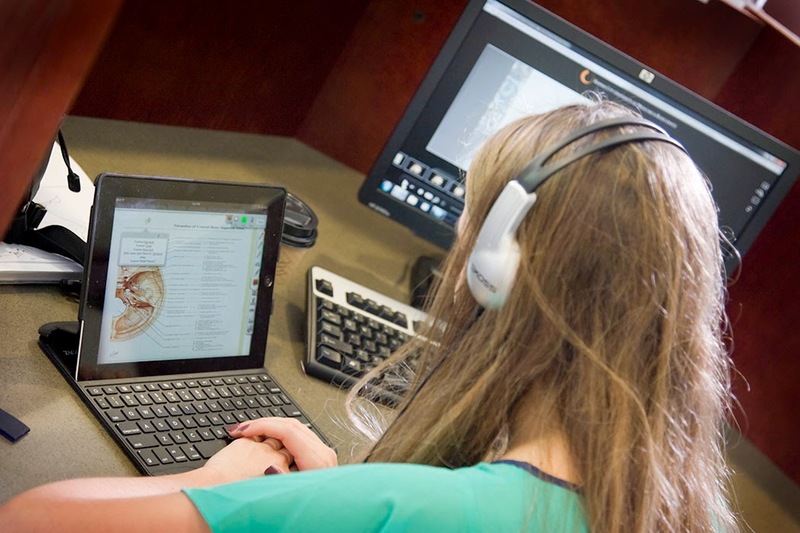 During the summer months, the D’Angelo Library staff has followed suit with this digital transformation by increasing the number of electronic resources available, while also cutting back on printed books. Only three months ago, in April 2014, the D’Angelo Library housed 37,871 books. Today, we have 8,104 printed books, plus access to 1,504 e-books, 1,708 e-journals and 37 online databases with thousands of additional resources – all at our students’ fingertips, whether they are sitting in the D’Angelo Library or at a picnic table in Montana. As an added bonus, students returning from the summer break will now find more space available for studying on the second floor of the D’Angelo Library.